The third one (DIY tea bags from My Little Fabric) is in French, but here is what you need to do : print page 17 of the free online magazine (a real eye candy, by the way). 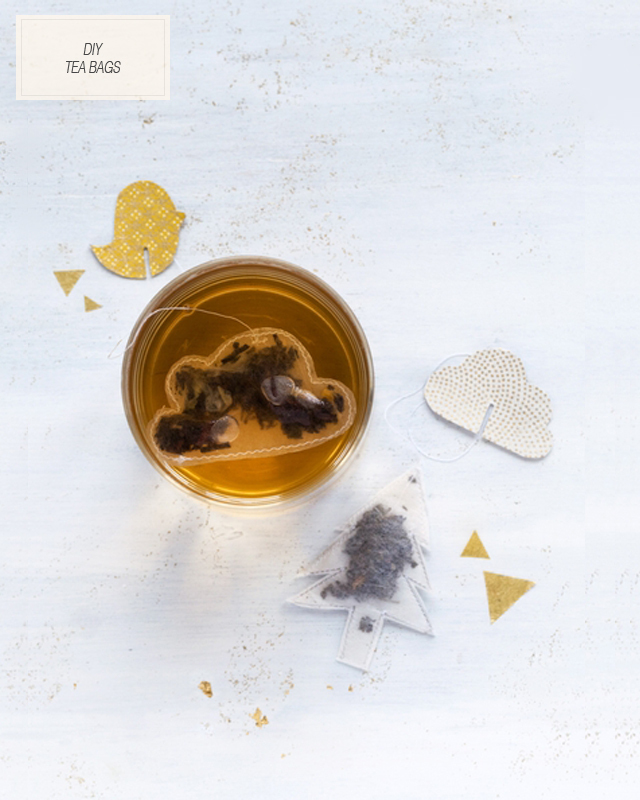 Cut out two cloud shapes in a tea filter (or a tea bag opened flat). Sew the edges by hand, and fill with loose tea just before fully closing. Leave a 4 inches piece of thread to make the tea bag string. Cut out the bird shape (also on page 17), and attach it to the tea bag string. OK, the necklaces are hugely perfect. Love! 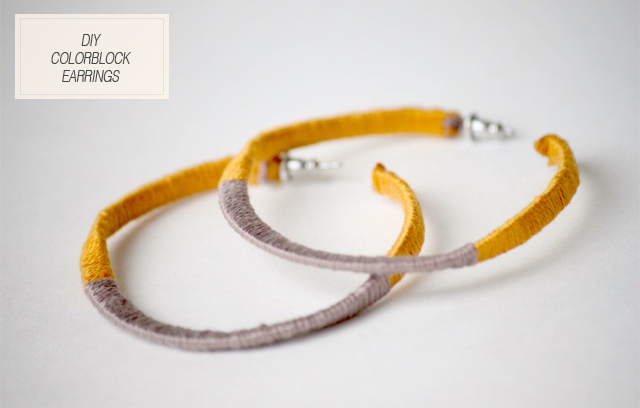 Some of my favourite DIYs to try in a while. Love the teabags! And those tights are going to make their way into my collection soon...! I love the embellished tights, but I'm not sure I could bring myself to do it to any pair of lacy tights considering I just love them plain! I love all of these. Especially the tights and the tea bags. I know what I'll be doing today! Ha. Productivity out the window. i think making tea bags is a great gift. ADORE the tights! oh wow! Those tights are gorgeous but I think I really need those shoes... or at least the top part that I can see :). The DIY tea bags are such a cute idea. I'll need to remember that one. 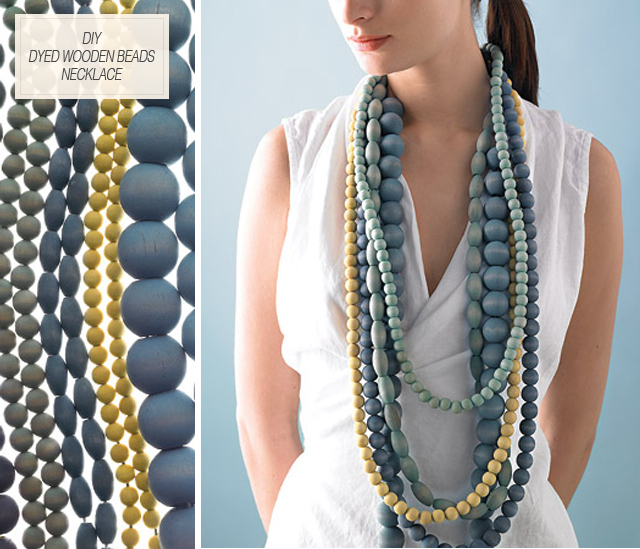 I love the wooden beads necklace! Oh boy! Just came across your bloggity blog. It's a fun one and I'm pretty sure I need a pair of those embellished tights.